After graduating from Forsyth/Tufts University, Susan Davis has practised dental hygiene for more than thirty years. She has extensive experience with both adult and child-age patients and has continued her hygiene education throughout her career in order to stay abreast of the latest dental advances. Susan has worked specifically with individuals who require an alternative approach to dental hygiene and on-going oral care. She has worked in a variety of dental practices in four different states, including a public school system in Massachusetts. 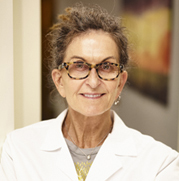 Susan has focused on developing supportive and professional relationships with her patients, colleagues and employers. Susan believes in a natural approach to living and has been vegan for more than half her life. She is also very active in animal rights.